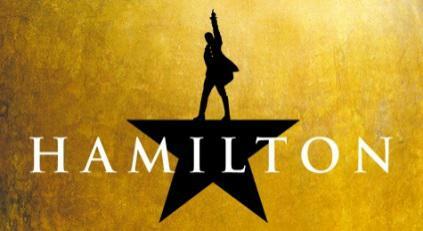 South Florida Theatre Scene: Want Hamilton Tickets? Fort Lauderdale, FL - Monday, October 8, 2018 Producer Jeffrey Seller and Broadway in Fort Lauderdale announce today that tickets for HAMILTON will be available online through Ticketmaster Verified Fan®, on Tuesday, October 23 at 10:00 AM ET. Verified Fan is a new fan-facing technology from Ticketmaster that allows pre-registered fans to unlock access to tickets without competing against scalpers and bots. Jeffrey Seller states, "Verified Fan is the newest program to make tickets available to theatre-goers at regular prices. I am confident that it will be a valuable service to our fans. We know how challenging it is to buy tickets and this new Ticketmaster program will make the process a whole lot easier." Ticketmaster Verified Fan® registration begins now and will close October 15 at 11:59 PM ET. Visit https://verifiedfan.ticketmaster.com/hamiltonfll to register. Those who registered will be notified by Ticketmaster via email on Monday, October 22 if they have been selected for the Verified Fan on sale. The Ticketmaster Verified Fan® on sale will be available for purchases online only. There is a maximum purchase limit of four (4) tickets per household for the engagement. Tickets range from $78 - $198, with a select number of $498 premium seats available. There will be a lottery for forty (40) $10 seats for all performances. Details will be announced closer to the engagement. A limited number of tickets will be available at The Broward Center for the Performing Arts Auto Nation Box Office starting at 10:00 AM ET on Tuesday, October 23.